The Louvre or the Louvre Museum (French (help·info)) is the world's largest museum and a historic monument in Paris, France. A central landmark of the city, it is located on the Right Bank of the Seine in the city's 1st arrondissement (district or ward). Nearly 35,000 objects from prehistory to the 21st century are exhibited over an area of 60,600 square metres (652,300 square feet). 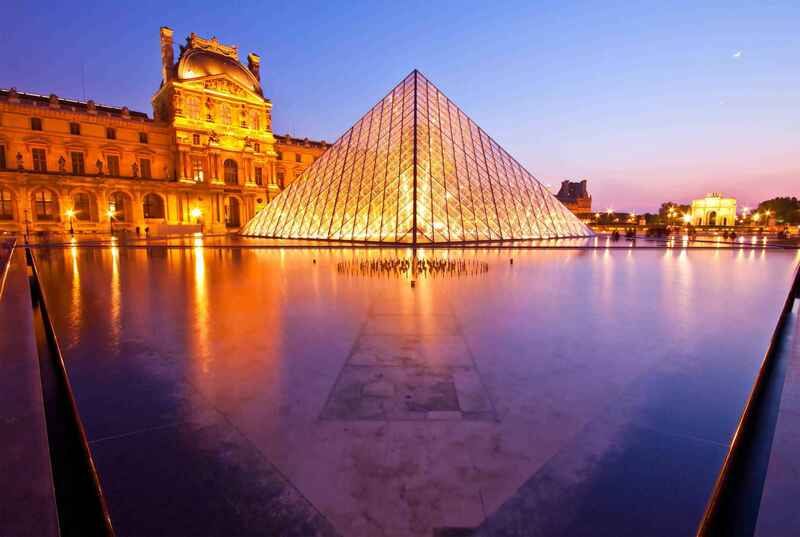 The Louvre is the world's second most visited museum after the Palace Museum in China. 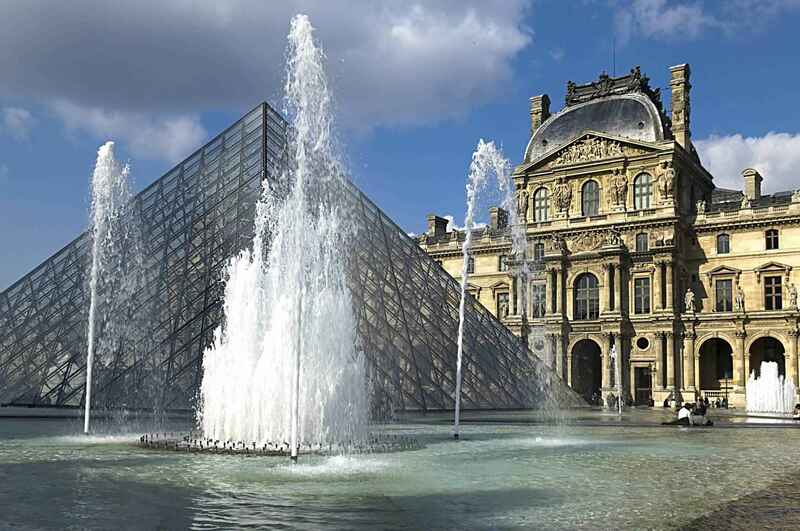 The museum is housed in the Louvre Palace, originally built as a fortress in the late 12th century under Philip II. Remnants of the fortress are visible in the basement of the museum. Due to the urban expansion of the city, the fortress eventually lost its defensive function and, in 1546, was converted by Francis I of France into the main residence of the French Kings. The building was extended many times to form the present Louvre Palace. In 1682, Louis XIV chose the Palace of Versailles for his household, leaving the Louvre primarily as a place to display the royal collection, including, from 1692, a collection of ancient Greek and Roman sculpture. In 1692, the building was occupied by the Académie des Inscriptions et Belles Lettres and the Académie Royale de Peinture et de Sculpture, which in 1699 held the first of a series of salons. The Académie remained at the Louvre for 100 years. During the French Revolution, the National Assembly decreed that the Louvre should be used as a museum to display the nation's masterpieces. The Musée du Louvre contains more than 380,000 objects and displays 35,000 works of art in eight curatorial departments. The department, comprising over 50,000 pieces, includes artifacts from the Nile civilizations which date from 4,000 BC to the 4th century AD. The collection, among the world's largest, overviews Egyptian life spanning Ancient Egypt, the Middle Kingdom, the New Kingdom, Coptic art, and the Roman, Ptolemaic, and Byzantine periods. The department's origins lie in the royal collection, but it was augmented by Napoleon's 1798 expeditionary trip with Dominique Vivant, the future director of the Louvre. After Jean-François Champollion translated the Rosetta Stone, Charles X decreed that an Egyptian Antiquities department be created. Champollion advised the purchase of three collections, formed by Edmé-Antoine Durand, Henry Salt and Bernardino Drovet; these additions added 7,000 works. Growth continued via acquisitions by Auguste Mariette, founder of the Egyptian Museum in Cairo. Mariette, after excavations at Memphis, sent back crates of archaeological finds including The Seated Scribe. Guarded by the Large Sphinx , the collection is housed in more than 20 rooms. Holdings include art, papyrus scrolls, mummies, tools, clothing, jewelry, games, musical instruments, and weapons. Pieces from the ancient period include the Gebel el-Arak Knife from 3400 BC, The Seated Scribe, and the Head of King Djedefre. Middle Kingdom art, "known for its gold work and statues", moved from realism to idealization; this is exemplified by the schist statue of Amenemhatankh and the wooden Offering Bearer. The New Kingdom and Coptic Egyptian sections are deep, but the statue of the goddess Nephthys and the limestone depiction of the goddess Hathor demonstrate New Kingdom sentiment and wealth. Exemplifying the French School are the early Avignon Pietà of Enguerrand Quarton; the anonymous painting of King Jean le Bon (c.1360), possibly the oldest independent portrait in Western painting to survive from the postclassical era;Hyacinthe Rigaud's Louis XIV; Jacques-Louis David's The Coronation of Napoleon; and Eugène Delacroix's Liberty Leading the People. Northern European works include Johannes Vermeer's The Lacemaker and The Astronomer; Caspar David Friedrich's The Tree of Crows; Rembrandt's The Supper at Emmaus, Bathsheba at Her Bath, and The Slaughtered Ox. Louvre Museum | eTips Inc.